Vegetarian Cheesecake Time!!! 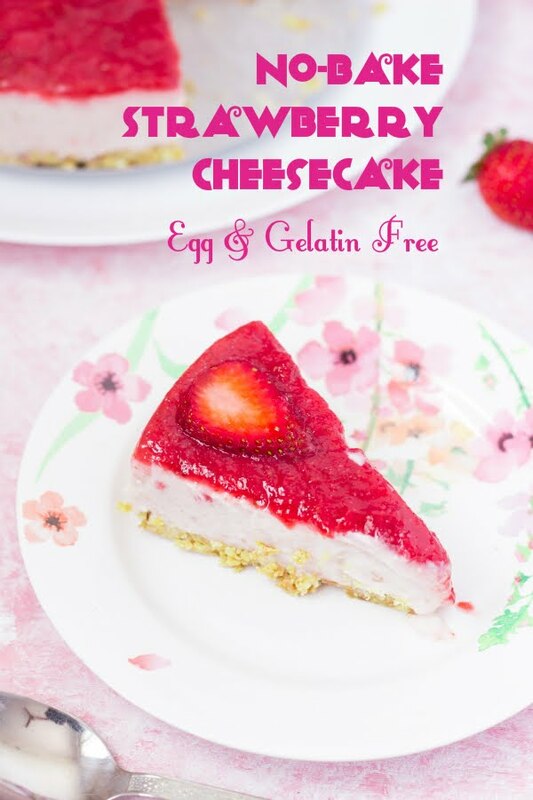 This no-bake Strawberry Cheesecake is Egg and Gelatin free, it is made with easily available and fresh ingredients. We are a cheesecake loving family, well almost, except Gee, her poison is a dark gooey chocolate cake. But the rest of us are ready with our forks out at the mention of a cheesecake. Blueberry, Mango, Strawberry, bring them ON! Initially we would love to go a gourmet bakery just to eat it. But then someone mentioned that cheesecakes have gelatin in them. Gelatin is what holds it together and it does a wonderful job at it, but it is not vegetarian. So then onwards there was a non-cheesecake existence, we could see it staring at us at malls, cakeshops and bakeries but never had the heart to go buy it. Then I found this recipe for a Mango Cheesecake by Anushruti. There was hope again for us!!! I will be honest - making a cheesecake at home is not a simple task. It really isn't. But the rewards are BIG and TASTY and VEGETARIAN!! I had to work with this recipe multiple times to get it right, the family definitely did not mind getting to eat Strawberry Cheesecake every weekend. I wondered how long their love would last, but I got the recipe right before they got bored, so hey, that's a win for me. Strawberries are currently plenty in the market and pretty cheap too. So this is the right time for the cheesecake. 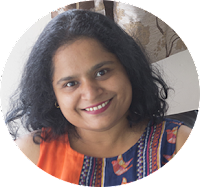 I took Anushruti's recipe as a base and changed it to suit my ingredients along the way. A cheesecake is made of 2 major components - Biscuit Base and the Cheese Filling. I used different commonly available biscuits to make the biscuit base. I experimented with Goodday, Marie, Digestive Biscuits etc, sometimes it was a combination of different varieties. My pick at the end of the day - Marie. Marie biscuit is naturally very crispy and works beautifully here. It doesn't have too much of a flavor of its own, so it doesn't interfere with the taste of the filling and just ends up adding a very buttery crunch to the whole cheesecake. You may have a different favorite, just go with it. I used a mix of salted and unsalted butters, I liked the mild saltiness. I wouldn't recommend using only salted butter, however, you can use only unsalted butter and may be add a pinch of salt to it if you like the saltiness or avoid the salt all together. While the biscuit base is super simple to make, getting the cheese filling right was my mount Everest. The taste was spot on from day one, but it just would not set. The cheesecake would melt right before my eyes and break my heart. Hence, multiple retries and I'm happy to tell you the below recipe worked perfectly for us. I would have probably liked it a little firmer, but I'm a little worried if adding more china grass will leave an unpleasant aftertaste. uree the strawberries and gently heat the puree on the stove. Don't let it boil, but it needs to be hot when you add the china grass to it, else the china grass will seize and become a lump. China Grass is the trickiest ingredient of the lot. Soak it for at least 10 minutes in water before heating it up. Do not heat the china grass directly on the stove top. Use a double boiler - take a pan and add water to it. Allow the water to come to a boil, then place the bowl containing the soaked china grass and allow it to melt, stirring occasionally. Once the china grass has completely dissolved in the water, add it to the hot strawberry puree and mix well. Immediately add this to the yogurt-paneer mix. Fold in. Your cheesecake filling is ready. Pour it over the chilled biscuit base and refrigerate it for 5-6 hours until it sets. The glaze can be either poured over the cheesecake while serving, or while it is setting. Making the glaze requires you to heat the strawberry puree with sugar for a few minutes. Allow it to cool and then pour over the cheesecake. If you'd like it to set along with the cake, pour it over the cheesecake after it has been refrigerated for 1-2 hours, else, pour it while serving. To make individual sized portions, set the cheesecake in bowls or in glasses. These are perfect if you are hosting a party. Almond Chocolate Brownies - Eggless almond and chocolate brownies. Gajar ka Halwa / Carrot Pudding - Traditional North Indian pudding made by cooking carrots in milk. Shavige Payasa / Vermicelli Pudding / Semiyan Kheer - Indian dessert made with vermicelli and milk. Flavored with cardamom and dry fruits /nuts. No-Bake Strawberry Cheesecake is an eggless and gelatin free frozen dessert made with fresh strawberries,yogurt and paneer. It is set using china grass or agar agar instead of gelatin or egg. Crush the biscuits until they are a coarse powder. Add the butter to the biscuit powder and mix well. Put the biscuit crumbs into the cake pan. You will need to use a springform cake pan or a cake pan with a detachable bottom plate. Alternately, you can also make individual sized portions in glasses. Gently press the biscuit crumb until the bottom of the entire pan is coated evenly with it with a slight rise along the edges. Make sure there are no holes in the layer. Tie the yogurt or curd in a muslin cloth and leave it hanging for 3-4 hours until all the water is drained from it. I left it overnight in the fridge. Blend the paneer in a mixer/blender until smooth. Strain if required to remove lumps. Add the creamed paneer to the hung yogurt and mix well. Add 1.5 cups of the powdered sugar to the yogurt-paneer mix and whisk well until combined. Soak china grass in 3/4 cup of water for 10-15 minutes. Heat water in a pan, once the water boils, place the bowl containing the china grass into the pan. Do not allow the china grass to come to a boil. Stir occasionally. Continue to heat the china grass until it dissolves completely in the water. This may take 15-20 minutes. In the meanwhile, puree 12-15 strawberries until smooth. Add the puree to a small pan and heat it on low heat. The puree should not come to a boil but should be hot when we add the china grass. Once the china grass has completely dissolved, add it to the hot strawberry puree and mix well. Taste to see if you need more sugar, you can stir in more powdered sugar at this point. Immediately pour this into the yogurt-paneer mix and fold in until combined. Refrigerate the cheesecake for 6-7 hours until set. Puree the remaining strawberries until smooth. Heat the puree in a small pan. Add the remaining powdered sugar by the spoonful. You may need more if the strawberries are very tart. Simmer on low heat for 4-5 minutes. Then pour over the cheesecake evenly. Allow it to set for at least 1 hour before serving. Alternately, you can pour the glaze just before serving as well.